Soup Gifts for Any Occasion. When miles, crazy schedules, and the hectic ups and downs of life separate you from those important to you, you can show how much you care when you send the gift of soup. 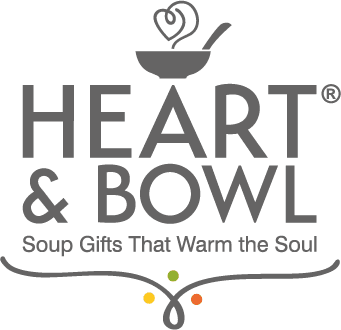 Each order comes beautifully packaged with a hand written card and features all natural, gourmet soups that are ready to heat, eat and enjoy. Our Home-style Chicken Noodle and Hearty Tuscan Vegetable (vegan friendly and gluten free for those with special dietary requirements) are made with only the freshest ingredients so you can feel great about giving something healthy and delicious. And because we were founded with the desire to make a positive difference, a portion of our profits from every gift ordered will be donated to help feed those in need. Soup has an amazing power to make almost anyone feel good. But its power comes from more than just the combination of simple ingredients with a great recipe or a special technique. 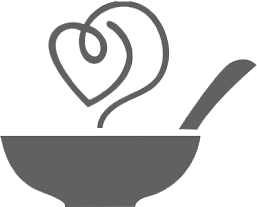 Soup is delicious, comforting and sustaining and has the unique ability to keep us connected. Just ask anyone what their favorite soup is and they will likely tell you a story about why it’s their favorite. About when they were being comforted or cared for, a special time spent in the kitchen with their grandmother, a favorite lunch when it started to snow…. It makes us feel good because soup is more than just something tasty to enjoy, it is really a "bowl full of memories". Our website is secured with 264 bit encrypted SSL certification to ensure your privacy and protection. We offer free standard three day shipping on all our beautifully packaged, ready-made gift bundles (some restrictions may apply click here for details). Faster shipping methods are available for an additional charge. Your satisfaction is critical to us and we will do everything possible to ensure you and your recipients are delighted with your gift order.